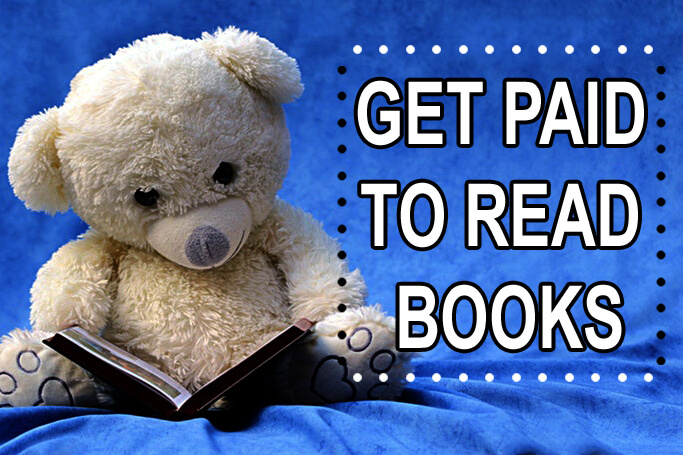 Get paid to read books is a kind of interesting way to earn money online. If you’re a person like to read books then this is one of the best online jobs for you. Get a chance to receive the books written by the top authors for free. In turn, the suggestions will help them improve their content and other valuable sections before publishing. Apart from reading regular books get paid to read web articles, magazines, watching videos and many more related to reading. Earn up to $50 per book acting as a professional tool helping the authors and writers. This article will help you to find all possible ways to earn money by reading books and jobs related to reading. Wonder why sites pay just for reading books? Looks weird? Actually, if you think that you’re paid just for reading a book, it’s wrong. They pay for giving your suggestions, reviews, advice about the book. This is not like giving a common review “Good book”, “Great article” etc. The comment should be more than 300 words genuine and authentic. You must spend time reading the entire book in order to give a defined suggestion. Getting paid to read books doesn’t purely mean “Get paid to review books”, there are a lot of ways a person can earn money reading books other than reviewing. Here are some of the ideas you can follow to get paid for reading books at home. In the mean time, also read how to get paid to read emails! Reading the book and posting the review after reading is the familiar way to get paid for reading books. In this job, the reviewer has to apply for reading a book to write the review. A copy of the book will be given to the reader. The reader must completely read the book and provide a review for the book. The review must be true and informative to help the publisher to rectify and improve the book before publishing it for the readers. This only suits for the advanced get paid to read users with good experience in reviewing books. Readers will not be allowed to directly access the content. Instead, the reader must complete full onboarding process before they get a chance to read books to review. Books will be available in a various genre based on the site. Here are some of the mentionable categories Action, health, language, business, fitness, economy, pets, humor, nature, physiology, art, music, games, mathematics & subjects and more. Reviewing books are the tasks with the highest pay in the get paid to read books category. The pay per review might vary from $5 to $60 based on several factors including the experience of the reviewer, the length of the book, the content of the book, technical knowledge of the reader, book category and so on. To understand this process of getting paid to write reviews, let’s take Electronics books as an example. Not every reader will have an idea about electronics. So, to review this book readers who have good technical knowledge are required instead of general readers. This is similar to reviewing the books. In this case, the readers must give suggestions to improve the overall experience of the book. The reader must go through the entire book and give suggestions regarding the editing, formatting, pictures, cover design and other factors of the book. Other than books, this also applies for blogs, articles, eBooks, magazines, videos. Jobs of this kind can be found in different MMO sites. Based on expertise earn hundreds of dollars helping writers to publish their content. Proofreading is one of the technical yet easiest ways to earn money on the internet. The proofreading is the process of reading an article or book to spot errors. This is like revising the content before publishing it. Proofreading needs extreme patience and hard work to spot the error to fix it. Checking Grammar, punctuation, spelling, formatting, consistency, readability are part of the proofreading. So, proofreaders should be very skillful in the language in order to get this job. Proofreaders based on the number of words processed. Experts make more than a cent per word, mean $10 for proofreading 1000 words article. Proofreading emails, business documents, stories, novels, resume, eBooks, advertisements, textual content are examples of proofreading work. This is the simplest way get paid to read work. You don’t need to do anything other than reading the content of the advertisements. This work is available on the paid to click sites. These sites pay the users for reading visiting the websites and reading the content given on the website. Whether you read or not, it is a must to stay on the webpage for a few seconds in order to get paid. This work is very simple and as you know simple things pay less. The worker doesn’t need any skills to work on these sites. All they need is a PC or smartphone with an internet connection to earn money. If you’re a smartphone user, earn money reading on the mobile phone itself. The referral programs of these sites helped hundreds of users to earn thousands of dollars every month. Learn how to make $10 per day by this article – get paid to read ads. Micro jobs are the simple online jobs available for all the internet users. There are hundreds of simple paying tasks available on the micro jobs sites to earn money. Here we are talking about the tasks related to content reading. The tasks will be like finding the author inside the article where the worker must read the article and find the author of the book. Finding the address, identifying the violations in the article, checking spelling mistakes, verifying the authenticity of content, transcription, finding the genre of the book, answering set of questions after reading the article, data entry work, translation are few more tasks related to get paid for reading. Earn from a cent to a dollar for each task completion. While simple tasks pay less, there are high paying tasks available for workers with a good rating. Workers with good speed and accuracy earn up to $5/hr working on micro job sites. Site owner needs lot of comments posted in their article for some reasons. Not all the blogs receive comments as expected. So, they go for paid commenting. Anyone can earn money using this opportunity of commenting on sites. To comment the user must read the entire article and leave a comment at the end. The comment should contain a minimum of 50 words and it can be a review about the article read, or suggetion, or additional information to other readers, or listing related content. While the freelancers earn $1 per comment, commenting services pay few cents for commenting. Apart from commenting, there are paid forum posting sites which pays for posting new threads, replying threads started by other users. Online Book Club is one of the oldest Get paid to review books community forum started on 2006. With over 400000 members in their community, Online Book Club helped thousands of authors and publishers to get review from the expert readers on about their books and articles. It’s easy and free to become a part of Online Book Club community. Members have access to top books in the world for free of cost. Initially, the novice reviewers will not be paid to write reviews. The members have to give genuine, honest reviews after reading books. Gaining attention, they can become a reviewer to get paid to review books. Online Book Club pay $5 to $60 for reviewing books. If you’re a reader like to read books, don’t hesitate to try Online Book Shlef and gain access to best books in the world for free of cost. Also, writers can gain knowledge taking part in their forum discussions. Online Book Shelf pay the users through PayPal. Payments are instant and there are no minimum payouts. However, people without PayPal can go for the alternatives Bitcoin and Amazon.com gift card with minimum payout $100. Get a chance to win free gift vouchers participating in the monthly contests. The FigureEight is the micro jobs website with hundreds of paid tasks related to reading content. Previously known as Crowdflower, FigureEight is the home for millions of freelane workers earning money from home doing simple tasks. FigureEight is free and available for members all around the world. FigureEight is the Human assisted machine learning platform that connects companies & organisations to post their tasks that requires human intelligence to complete. For example, computers can read the text but they cannot analyse the quality like a human does. Though technology is developed enough to process data, it’s human who have got the brain to solve something computers can’t do. Tons of paid tasks are posted everyday on FigureEight. Here are some of the tasks posted realted to reading article – “Find the author of the article”, “Find the address in the article”, “Identify if the content in the website is child friendly”, “Analyse the content following the instructions”, “Filter the content violations”, “Spot the errors”, “Translate English to Spanish”, etc. These tasks are very simple and easy that a person who can follow the instructions can complete tasks to earn money. You need to be an experienced reviewer to earn money on Online Book Club, but you don’t need any skills to be a part of Figure Eight. FigureEight recruits contributers using two methods. One is direct contributor on FigureEight and the second one is working through Elite Channels. It is recommended to join Clixsense one of the best Elite channels hosting FigureEight for their members. Through Clixsense you can earn 16% daily bonus and earn $200 weekly bonus which is not available on Figure Eight. The Kirkus is the Elite Get paid to review books program started it’s journey on 1993. Kirkus is looking for experienced book reviewers of Spanish and English language titles to review for Kirkus Indie. Kirkus reviews all format of books of all lenghts in paperback, digital formats. The reviewers must be able to submit a 350 words review for each book within two weeks from accepting the job. To become a reviewer at Kirkus, you must submit a resume and writing samples to the senior editor of the company. Swagbucks might not be a relevant site to this category, but know that Swagbucks is the best Get paid to site in the world that pays for completing surveys, offers, tasks, earn money shopping online, playing games and more. One of the other simple task available on Swagbucks is reading content. The members can earn money by reading the content of the websites, watching video content and more. Apart from this Swagbucks helps the users to earn cashback rewards by subscribing to Amazon kindle ebooks and Audible. There are tons of ways Swagbucks helps the users from tier-1 countries to earn and save money online. Swagbucks pays a minimum of $5 through PayPal. Users can also redeem their points for gift cards of top brands like Amazon, Target, Walmart, Macy’s, Best Buy, Flipkart and more. Fiverr is the world’s best freelance site with millions of sellers and buyers. Through Fiverr you can sell any digital product and services to people all around the world. In our case you can sell gigs related to proofreading & editing books, article writing, transcription, comment posting, resume creation, sell courses for money, translation. If you’re confident enough to be a freelancer, join Fiverr and create a gig related to reading books and sell it for a minimum of $5. Fiver might not be directly related to get paid to read books or get paid to review books. But, it is the potential marketplace that can unleash your skills and turn in to money. Any Subjets Book is a pure paid to review books programs looking for people with analytical mind. People who have account with Amazon and Good reads have higher chances to get approved by them. Bloggers in writing books niche too can earn money on Any Subjects Book. Reviewers have to submit the application to get approval from Any Subjects Book. Don’t forget to specify the interested genre. When there are books available to review related to the specified genre, Any Subjects Book will send an invitation with short synopsis. All you need to do is accept the job to read the book. Whether positive or negative, review the book honestly and spend time to analayse technical elements of the book. The rates are fixed based on the book. They don’t fix any open rates. 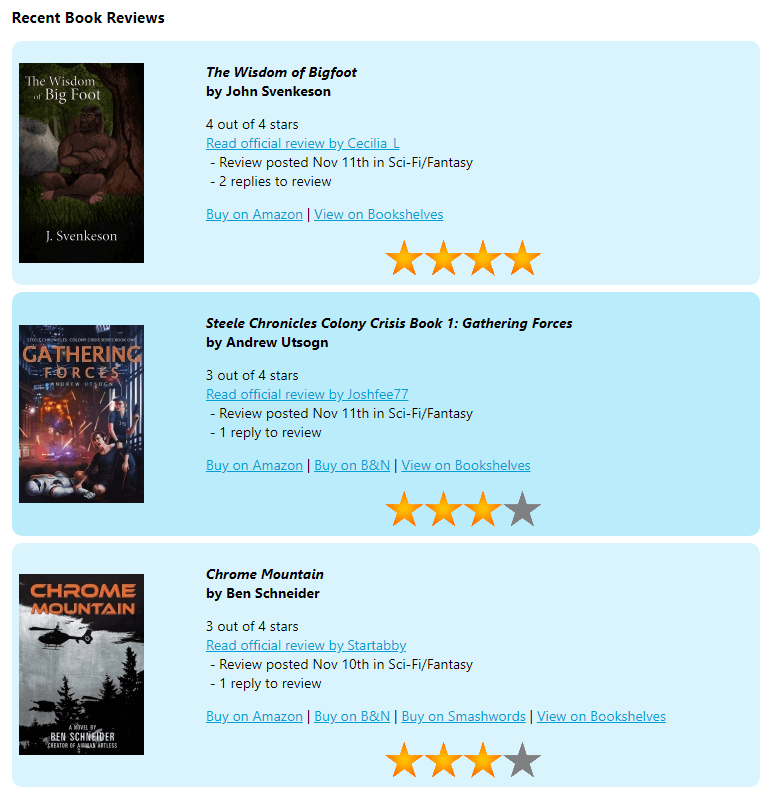 Become a reviewer in their sites and get invitation to discuss the rates for reviewing the books. The Book Look Bloggers is the get paid to read site for bloggers who enjoy reviewing books on their website. In addtion to CPC advertising and affiliate marketing campaigns, bloggers can review books on their site to earn money. To get approved by Book Look Bloggers team, the reviewer must have an active blog that has been updated atleast once a week in past few months. The bloggers must have a decent follower count in social media. Once approved, the bloggers can select the books available and send a request to them. Book Look Bloggers will send a digital or physical copy of the book. the blogger must post the review that contain a minimum of 200 words on their blog and a consumer website to get paid. The books are free which can be used for non-commercial purpose or donated to the library or any other organisations. Bloggers must stay active to keep their account active. It is mandatory that the bloggers must post aleast a review once every 90 days to keep their account active and running. Now you would have got an idea about how to get paid to read and review books. This is a simple way to make money at spare time. But, if you’re looking for a reliable way to make money online, feel free to check out online digital marketing jobs for begginers.